Peerless toilets are easy for anyone to repair. The most common problem with Peerless toilets is water continually running from the tank into the bowl. If you notice this with your toilet, the flapper inside of the toilet is defective and needs to be replaced. Any local hardware store or plumbing supply company will carry a universal replacement flapper that will fit your Peerless toilet tank. 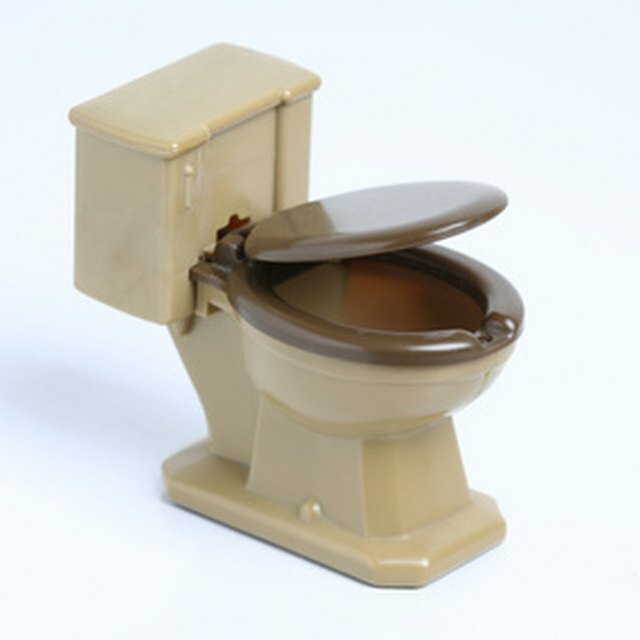 Repairing a Peerless toilet is simple. Close the shutoff valve leading to the toilet tank. Flush the toilet and remove the toilet tank's lid. Unhook the steel chain from the flapper which runs down from the flush handle's arm. Unhook the flapper from the two tabs on either side of the flush valve. These tabs let the flapper pivot up and down in place. Slide the old flapper up and over the top of the flush valve. Cut your new universal flapper with a pair of scissors to match your old flapper. Slide the round opening of the new flapper over the top of the flush valve all the way to the bottom of the toilet tank and hook the new flapper back onto the tabs on either side of the flush valve. Reattach the steel chain to the rubber loop on top of the universal flapper. Open your shutoff valve, letting the tank fill back up with water and watch to see if water continues to run into the toilet bowl.